you are an observer at the american philosophical society and become startled by a touch to the shoulder. ben franklin whispers in your ear... who knew the man could be so naughty? you excuse his behavior... after all, he worked hard on getting rid of the stamp act (the british tried to solve their national debt by taxing the u.s. on all printed matter). ben kindly invites you for a constitutional after the meeting - - - he somehow is too intriguing to deny. as you stroll the cobbled streets, he reaches into his pockets and offers a chocolate stick. 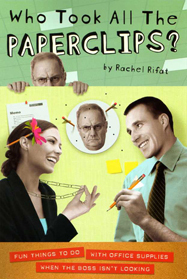 you raise one eyebrow, nod to him, and then gently glide it into your mouth. aromas of cinnamon, anise, nutmeg, pepper, and orange mystify you. this is the chocolate of colonial america. he winks and states, "you know, i managed to secure six pounds of chocolate for every officer for the french and indian war". this is a man after your own heart. you fall in love. 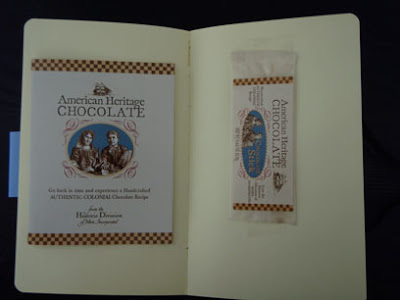 please visit www.americanheritagechocolate.com for colonial chocolate history.